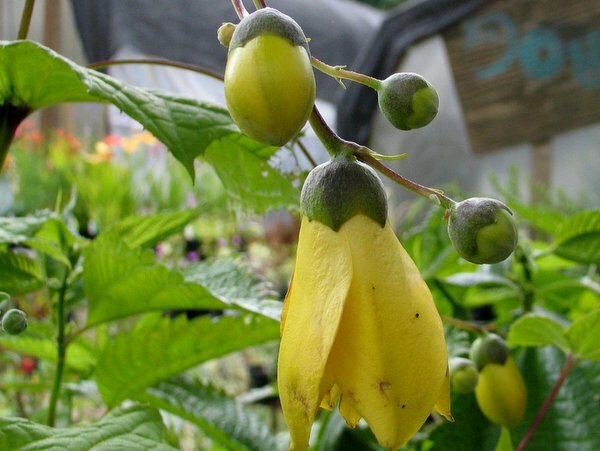 Very good plant in the upper echelon of perennials and highly valued for its mid summer blooms of thickly textured intriguing yellow flowers on the terminals of the stems. These gets nice broad leaves on herbaceous stems that in shape is not unlike a Hydrangea. Imposing at maturity.